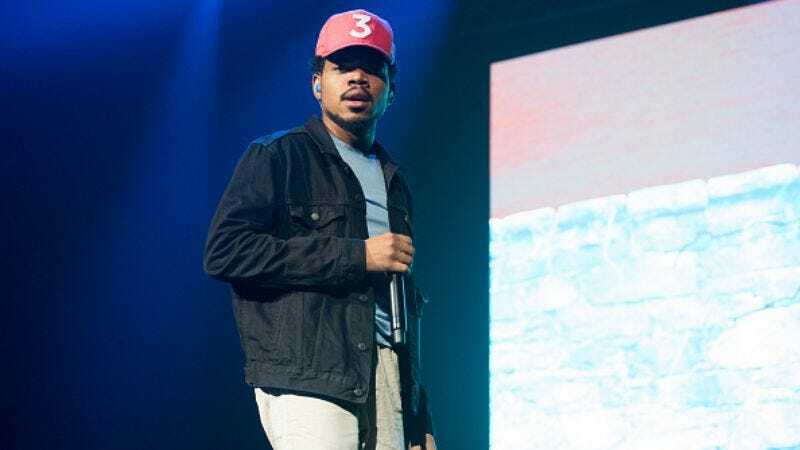 Pitchfork reports that Chance The Rapper has canceled the remaining dates, which were all in Europe, on his Magnificent Coloring World tour. The publication picked up the news from Complex, which had come across this Facebook post from the promoter of Chance’s Dublin shows. The Chicago artist hasn’t issued a statement about the cancellation, but Pitchfork confirmed the info on Ticketmaster, where the November 23, 25, and 26 shows show up as canceled. Chance The Rapper kicked off the tour in support of his superb mixtape, Coloring Book, back in September. He also organized the Magnificent Coloring Day festival on Chicago’s South Side earlier this fall.